This isn’t just hypothetical. 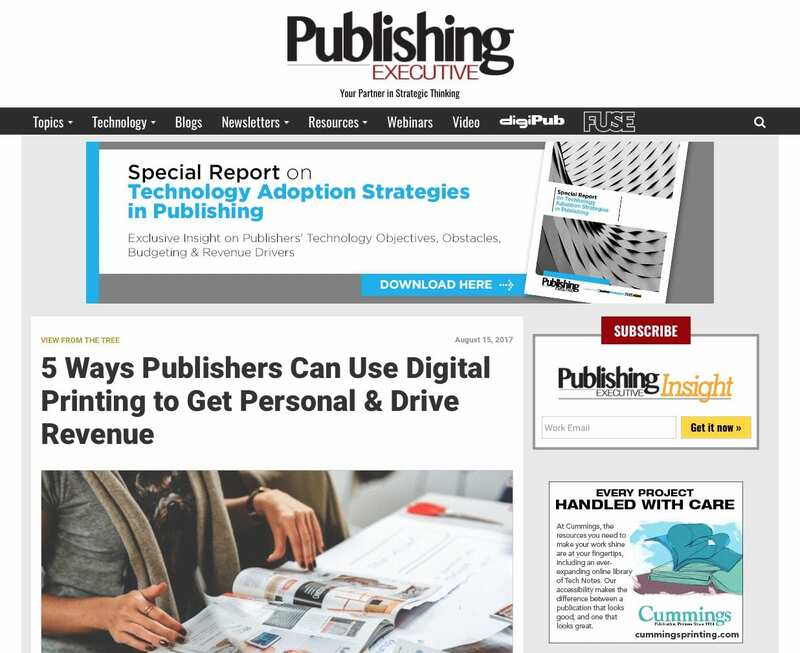 Audience Innovation*, one of several companies that offers marketing campaigns that use sponsored cover wraps on popular magazines, reports that it sometimes employs digital printing to customize the wraps. An insurance company’s campaign of cover wraps affixed to copies of Good Housekeeeping, for example, includes information about and a photo of the agent who is located closest to each recipient’s home. Doing that for a national campaign with traditional offset printing would be inordinately cumbersome and expensive. *AUDIENCE INNOVATION: Maybe oddly, yet … our magazine cover wrap campaigns are producing exceptional measured results, more so than ever before. And now, we’re layering with online retargeting (your exact same audience), plus … our new NFC ‘tap-to-digital’ interactive devices: there’s really nothing that’s more effective. And, this is proven over and over again with client targets in: B2B, AFFLUENT, PHARMA and RETAIL categories. Start with as few as only 500-1000 targets, we will build you a sales+marketing hyper-targeted campaign that works.